From collectable cigarette cards, to the origins of soap operas, brands have long seen the value in giving away information. Learn to empower customers to make their own decisions with content that educates, inspires and entertains. A successful content strategy is a science as well as an art. This eBook explains how to achieve results which are predictable and replicable, and places constant improvement and repeatable success at its heart. Want to monitor social referrals but disappointed at the level of detail available in Google Analytics? That’s where custom URLs and UTM tracking come in. This eBook talks you through the process of building a custom URL. Creativity in marketing is no less difficult to harness than creativity in any other sphere – only it comes with additional constraints. This eBook seeks to address these constraints and help overcome them. Nurturing relationships – whether with publishers, influencers or consumers, is a vital part of getting your content out there and seen by the right people; so why is this so often overlooked by marketers? The power of sharing is what sets social media apart from other marketing channels. When someone shares your post, they’re giving your content a stamp of approval, increasing your reach and potential engagement. Not even the most creative sections of the industry operates as well without data. Not even content marketing. While having fantastic content is a must, there are other concerns which must be addressed to ensure that your efforts are well spent. All you need to know about the customisation of URLs to help gather data about referral traffic. 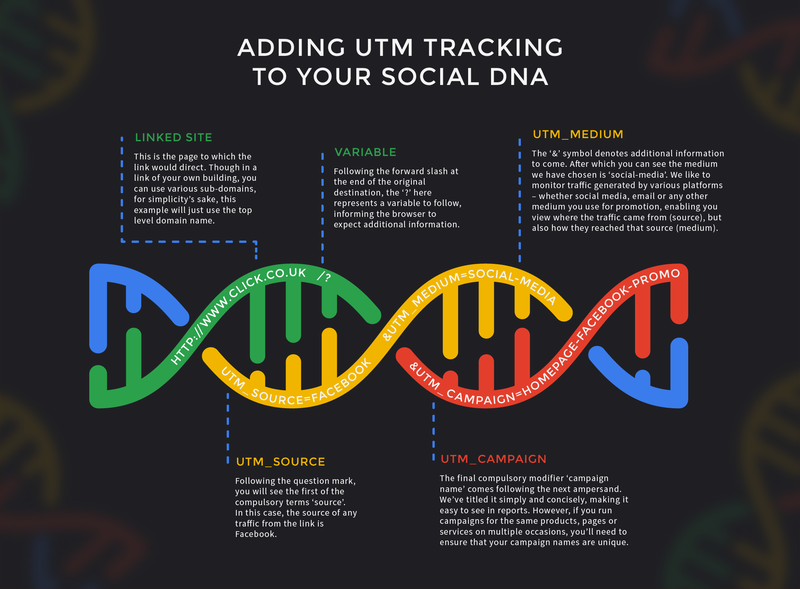 The use of UTM tracking can help to monitor and review and improve the performance of your work in all channels. Everybody’s doing content marketing nowadays, but not everybody’s doing it well. You’ve got to balance the creative with the strategic, and innovation with focus. Here are the top content marketing mistakes and how to avoid making them. Keep an eye on what’s performing well – and what isn’t – so that you can track your progress and tweak your appraoch. (You’ll need to have an existing Google Analytics account and be logged in to access the dashboard).